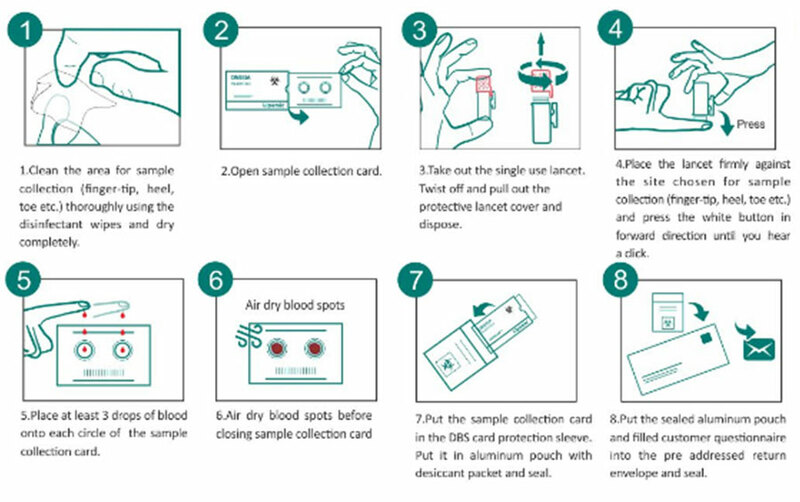 DBS testing (dried blood spot testing) is the future of convenient blood testing where a small volume of blood sample, via a sample prick, is directly soaked on to sample collection card, and followed by drying and then transported to the laboratory for analysis. Within the last few years, DBS Sampling has been extensively utilized in healthcare (for example, newborn screening and HIV related epidemiological studies) taking advantage of smaller sampling needs and simplified sample collection, storage, handling and transportation. 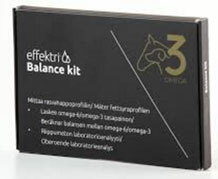 This convenient process allows flexibility of testing at the right time of day, month or following any therapy. 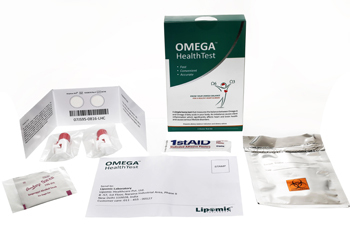 Lipomic aims to simplify and reduce the cost of blood sampling by replacing the conventional process of venous blood sampling by capollary blood sampling using easy to use lancets. Dried Blood Spot testing is already in use for quantitative and qualitative measurement of a vast number of analytes within diagnostics, clinical toxicology and Health & Wellness. Compatible analytical methods include GC, GC-MS, LC-MS, immunochemistry, RT-PCR, sequencing, etc. Lipomic’s DBS collection kit is India’s first real Home2Lab Test kit that contains all components necessary for cost-effective collection, storage, and transportation of DBS samples from the comfort of your home. It can be conveniently used by both patients and practitioners. 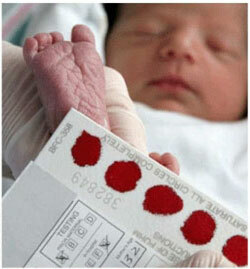 The blood sample is taken in the same manner as for a home testing of Glucose using a glucometer. The only difference being that the a few drops of blood are deposited on a specially treated high quality filter paper which is dried, packed and sent to our laboratory using a normal courier service. Compared to traditional blood sampling procedures, Lipomic’s DBS Collection kits are simple, efficient, significantly cheaper, and eco-friendly collection kits that enable patients to take their sample at the comfort of their home. Drops of whole blood samples are collected by finger, toe or heel prick with the aid of sterile disposable lancet. It is necessary that the blood is collected ensuring it is absorbed evenly across the filter paper and the blood spot is symmetric and circular. After sample collection, the DBS cards are dried, packed and shipped to analytical laboratories through mail, courier or express mail delivery services. DBS samples can be shipped and stored at ambient temperature. To expand your options for data collected on a card, Lipomic can customize DBS kits so that it is more suited for your specific application. We can customize DBS kits to include your Institution specific information such as address and logo on printed boxes and envelopes. 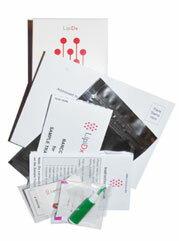 Instructions for sample collection and shipping procedures can be customized to suit your specific purposes. If required, we can include documents like informed Consent form, Case Report Form, Lab Request Form or Patient Release Form in the kit suiting your purpose. Any specific barcode preferences *sequential and non-sequential) can be included and data sheet can be customized for optical character recognition (OCR). We are working with established companies and organizations to fully leverage the potential of dried blood spot sampling. We are manufacturers of DBS Collection kits according to their requirement. Lipomic seeks collaborative and rewarding relationships with institutions, research laboratories, companies that are committed for the advancement of DBS technology. For questions regarding our services, kindly fill the query form.